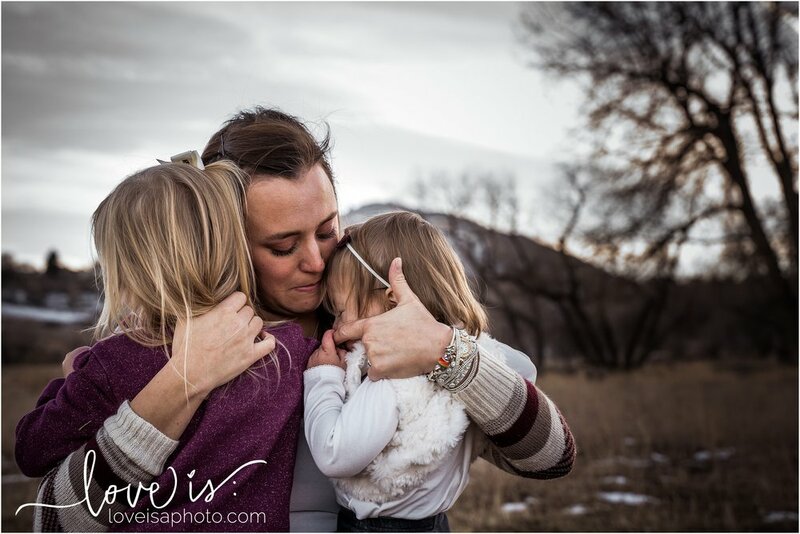 A sweet mommy & me session - Colorado Springs Family Photographer — Love is Photography LLC. Have you ever heard someone say, " You must have your hands full?!..." when they see you with your littles? I think I have heard that one too many times. Especially when my husband is out of town. 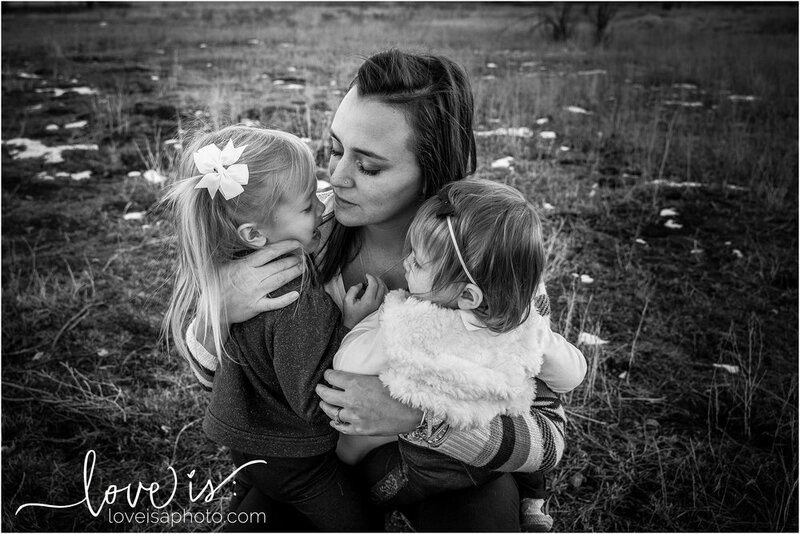 All of those well meaning people who check in with me to make sure I'm holding up, who think I've got my hands full with two little girls, much like this lovely mama I got to photograph tonight....well they are right. 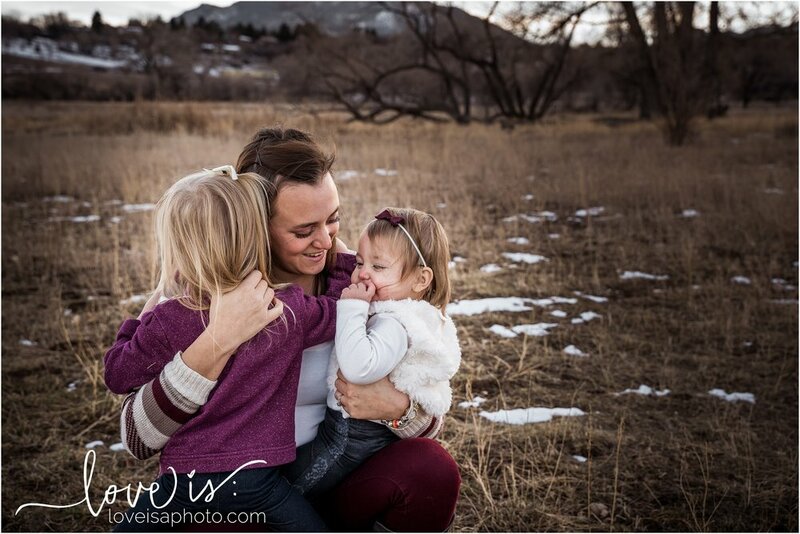 She's got her hands full of beautiful blond hair as she gently calms her daughter that had fallen. 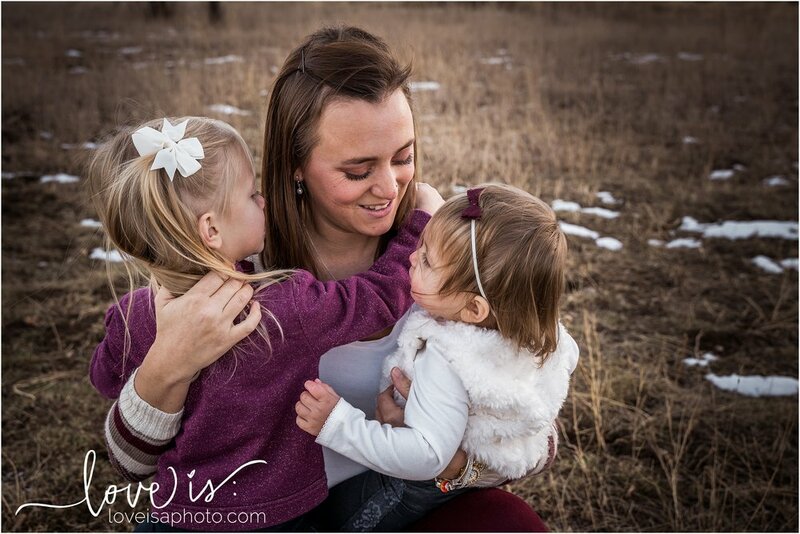 She's got her hands full of joy that is just radiating from her precious little girls. Full of love from the years raising them to be who they are today. Hands full of laughter as they play and giggle and enjoy each other. Motherhood is hard, but rewarding. We don't mother out of duty, or chore. We mother out of love and from the heart. And I am sure if this mama could choose to have her hands free, or have her hands full....she would always choose to keep them full, because they don't stay full for long.